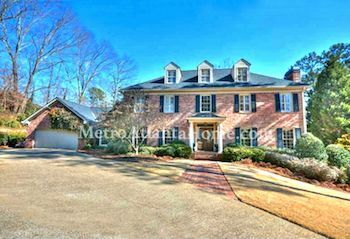 Huntcliff is a large community just off of Roswell Road, surrounding the Cherokee Town and Country Club as well as bordered on one side by the Chattahoochee River. Homes in Huntcliff are large and ornate, each individually styled and designed; most homes were built anywhere from the 60s to the 10s. Schools for Huntcliff include Ison Springs Elementary, Sandy Springs Middle, and North Springs High. Homes in Huntcliff are convenient to several national recreation areas, and the shops and restaurants on Roswell Road are easily reached. Access to GA-400 is very convenient, as well.